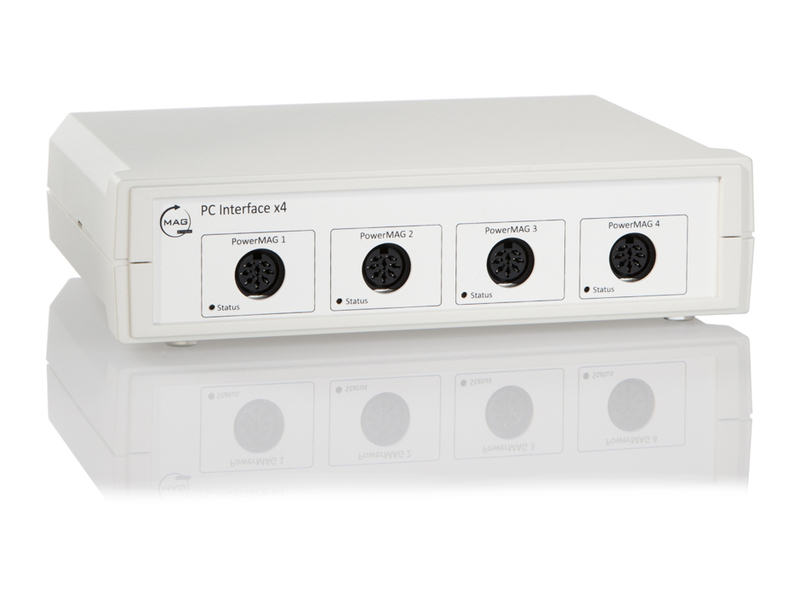 The PC-Interface x1 which can control one stimulating device, and the PC-Interface x4 which has four channels, enabling the control of up to 4 stimulators simultaneously (e.g. for paired coil TMS protocol). Its USB device driver provides an open programming interface which can also be used to run complex stimulation programs.